After teaching for 36 years in the Rio Grande Valley, Rosalva Reyna looked at her pension and health plan in July 2016 and decided she could live a comfortable life and finally retire. Reyna thought "no more work." But that quickly changed, she said. “At this point. I’m seriously considering going back to work," Reyna said. "A retired teacher going back to work — so I can pay my medical [bills].” Texas has a number of retired teachers now worried that their pensions may be lowered next year. The state's Teacher Retirement System board voted on Friday to lower the expected rate of return on investments, meaning the state is predicting it will earn less money to use for benefits. 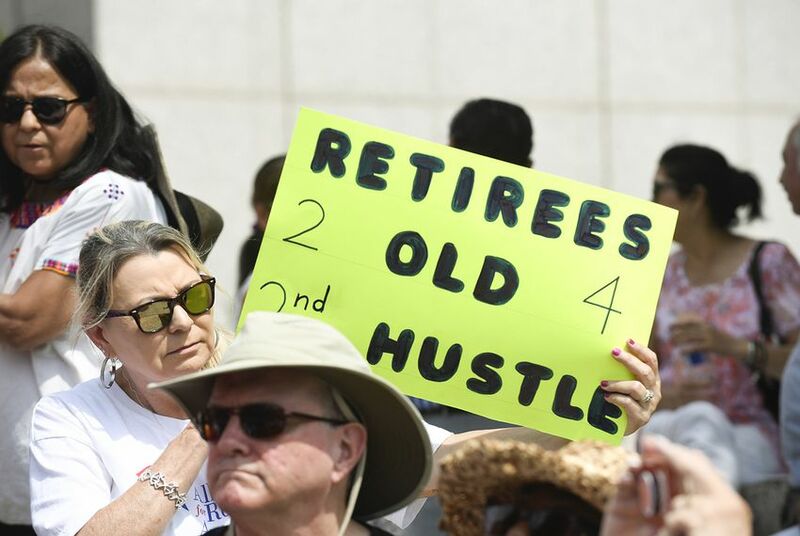 Retired educators said they are now looking to the Legislature to make sure more funding is secured for the TRS pension fund in light of Friday's vote.